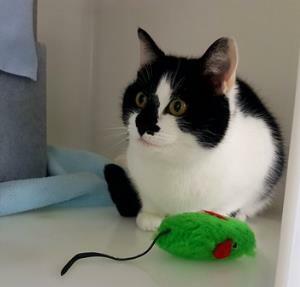 This is our Millie who is approximately 3 years old and would love a new home without any young children and ideally a new Mummy or Daddy that have had a cat before. She is a sensitive soul that enjoys company but also some alone time too. She could also enjoy a life as a rodent catcher where she can show off her hunting skills to the max. Could Millie be for you? If so then please call our centre. Previous Post:How Safe is Your Suntan? Next Post:What’s on at the Palace Theatre Mansfield..